In our work with admission staffs across the country we find that counselors often underutilize – or don’t understand – the most important recruiting tool available to them in talking with prospective students. Probing. It’s part art, part science. But when mastered it provides counselors with a gateway into understanding what the prospective student wants and needs in a college. And it helps uncover which of the college’s value propositions will most likely resonate with the student. Performed with skill and empathy, probing leads to richer conversations. Both the student and college are better served. Through great conversations with counselors the student often discovers things that are, or should be, important to them. Likewise, counselors uncover ways their college can deliver value and service that will not only attract the student but also set the stage for their success. “Probing” simply means asking a lot of questions. Most admission counselors will tell you that they do that. In reality, they don’t. The majority of counselors simply don’t cover a sufficient number of topics with a prospective student. They don’t ask the right questions and they don’t delve deeply enough to fully understand what will influence the student’s college selection decision. When Longmire and Company visits campuses to conduct Interactive Training Workshops, we focus on the tools and techniques that counselors must use to put students in a frame of mind to open up and answer questions. This includes proper use of close-end, open-end, and open-minded questions that spark dialogue – even from otherwise non-verbal prospects. We use role-playing extensively. We force counselors to probe for 10 minutes! They can’t talk about the college. They can ONLY ask questions. They have to open a broad range of topics of conversation (e.g. parents, academic interests, non-academic interests, feelings, fears, experiences, assumptions, false assumptions, and any other factors or perceptions that will influence their college selection). WOW! Say counselors after trying this. That’s hard! Of course it is. Because they’re used to talking about their college more than they talk about the student. Proper probing technique fixes that. It translates into better service to the student and higher yields for the college. Check out this video tutorial on The Power of Probing. It will start you on the path of building a bond with prospective students and that is the surest way to best serve that student and your college. This is the second in our recently launched series of free video training tutorials on our website and YouTube channel aimed at making your counselors even better at their jobs. On our website you’ll find an ever growing list of admission counselor tutorials. Subscribe to our YouTube channel for more tutorials, powerful data from national co-sponsored studies and interviews with some of your peers. I can guarantee one thing. A prospective student will engage, comprehend and remember any conversation that hits them at an emotional level. That’s the goal. And probing lays the foundation for that to happen. If you’ve thought about helping your staff with professional development, now is the ideal time to train and motivate your staff. Email or call me if we can help you. Continue the conversation on Twitter@LongmireCo. For more information about Longmire and Company and the tools we have to offer, click here. Be sure to subscribe to Versions of Conversion today so you can stay up-to-date. 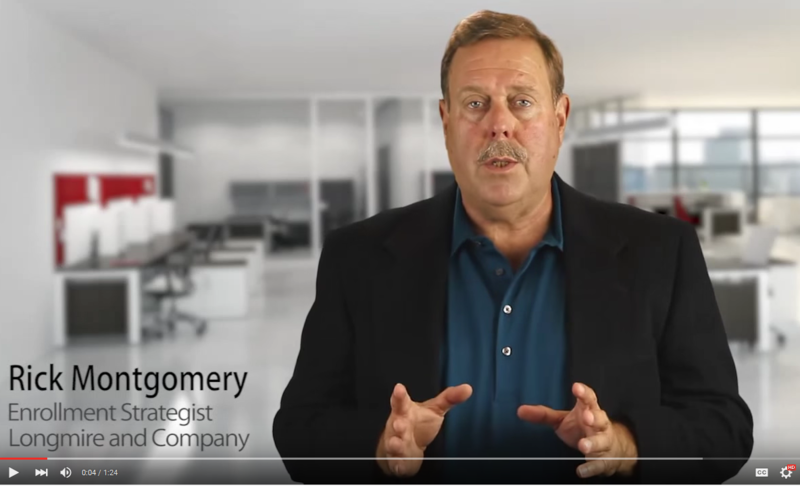 Longmire and Company has answered that need by offering free video training tutorials on our website and YouTube channel aimed at making your counselors even better at their jobs. On our website you’ll find an ever growing list of admission counselor tutorials. Subscribe to our YouTube channel to get even more. There you’ll find tutorials, up-to-date market data, co-sponsored study reports and a wealth of actionable information to help you with your recruiting efforts. Powerfully Presenting Your College’s Value Proposition: Here’s how you can define your value to students and parents in a truly meaningful way. 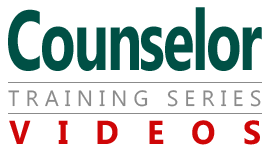 The Counselor Training Series is just the beginning of the valuable free video tools we are making available to you. You can also check out our YouTube channel for more tutorials, powerful data from national co-sponsored studies and interviews with some of your peers.